Social listening allows you to track, analyze, and respond to conversations about your brand and industry online. It’s a key component of audience research. If you don’t have a social listening strategy in place, you’re missing out on valuable insights. What do your customers think about your brand? What are they saying about your competitors? This guide will show you how to uncover those insights and more. And then we’ll tell you what to do with them. Bonus: Download a free guide to discover how to get more sales and conversions with social media monitoring on Hootsuite—no tricks or boring tips. Social listening is a two-step process. First, you monitor social media channels for mentions of your brand, competitors, product, and any keywords relevant to your business. Next, you analyze that information and look for ways to put what you learn into action. Taking action might mean something as simple as responding to a happy customer or something as huge as shifting your overall brand positioning. Taking action is what makes social listening different from social media monitoring. Social media monitoring is all about collecting data. It allows you to look back at what has already happened. For instance, you can use the information you gather through social media monitoring to test one campaign against another or monitor ROI. It’s also great information to help prove the value of social when it comes time to set the yearly budget. Social media monitoring is based on metrics like engagement rate and number of mentions. Social listening looks beyond the numbers to consider the mood behind those social media posts. This helps you understand how people actually feel about you and your competitors, rather than simply counting the number of times your name comes up. This “online mood” is also called social media sentiment. 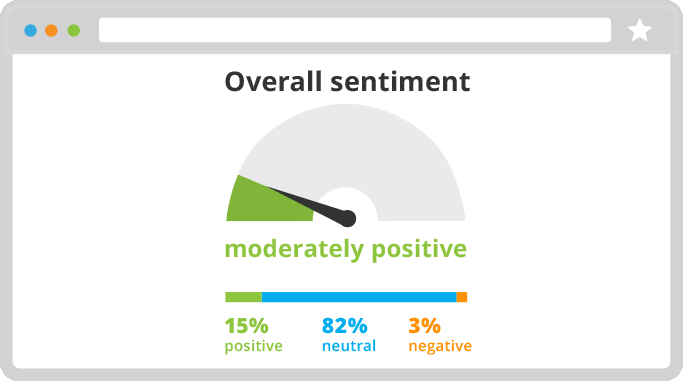 Keeping tabs on social media sentiment is a key part of social media listening. Understanding how people feel about your brand helps you keep your marketing and product development efforts on track. It also allows you to respond right away to positive or negative posts. The main thing to understand is that social listening looks forward rather than backward. It’s about analyzing the information you collect and using it to guide your strategy and day-to-day actions. If you’re not using social media listening, your marketing strategy has significant blind spots. Real people are talking about you and your industry online. You want to listen to them, right? Simply put, if you care about your customers, you care about the insights you can get from social listening. Here are some of the ways social listening can benefit your brand. Social media listening helps you identify opportunities to engage in conversations about your brand. This could be anything from someone saying how much they love your product to a customer service request. For example, on its annual Purdue Day of Giving, Purdue University uses social listening to identify donors. They then to respond personally to everyone who mentions on social media that they donated. This creates donor engagement and excitement, increasing the odds that people will donate again the next year. It also helps the university keep the momentum going on this critically important fundraising day. The online fundraising event is growing each year, with more than $37 million raised during the 2018 event. Remember, engagement is great, but only if comes with positive social sentiment. Social listening allows you to spot changes in sentiment in real time, so you can get a sense of what triggered the change. Look at your recent posts to get a sense of what has gone so right—or so wrong. If you’re getting a lot of positive engagement, look for the reasons behind it. Your customers share a ton of useful information about what they like and what they don’t. Those lessons can help guide your strategy across channels. For example, Penguin Random House used social listening to guide its publicity strategy for Leah Remini’s book “Troublemaker.” The book was getting good reviews, but they wanted to understand why. What exactly did readers like? Using social listening, the publisher learned that people most liked Leah’s personal storytelling and authentic voice. Based on that finding, Penguin Random House focused promotional attention on Leah herself, rather than on Scientology—the subject of the book. When they hosted an author Q&A on Goodreads, they specifically focused on questions about Leah’s own life. Social listening also helps you address PR disasters before they get out of hand. If sentiment is down, review the social feedback for lessons that could prevent a similar misstep in the future. If sentiment is way down, look for the cause and make changes right away, by pulling a problem post, or apologizing for an insensitive Tweet. Maybe you’re not getting much social engagement at all. Social listening can help you adjust your strategy to get your engagement numbers up. For example, Oslo Metropolitan University was not seeing much social engagement. Using social listening, the university was able to determine which topics its audience wanted to talk about. They started by monitoring and analyzing keywords. They learned that alumni stories, student life, lab work, and job vacancies created the most engagement. By focusing on those subjects, they were able to engage students, potential students, and potential job applicants on their social channels. The university also uses social listening to discover relevant conversations. They can then get attention from valuable contacts who might not otherwise have engaged with their social accounts. Social listening is more than understanding what people say about you. You also want to know what they say about your competitors. This gives you important insights into where you fit in the marketplace. You will also learn what your competitors are up to in real-time. Are they launching new products? Developing new marketing campaigns? Taking a beating in the press? Social listening allows you to find out about these new opportunities and threats as they happen, so you can plan and respond accordingly. When you monitor important industry keywords, you will uncover conversations about products, services, and features that don’t currently work for customers. This is great information to feed through to your product development team. Can you tweak an existing product or add a feature to resolve the problems people are talking about? Maybe what you learn will spur a new product idea. You’ll also learn about frustrations with your current products. Can you tweak your products to help address the concerns? If you do, be sure to tell people about it with a targeted marketing campaign. For example, through social listening, Brita learned that customers often complained that the people they lived with did not refill their Brita pitcher. When the company released a product that reduced filtration time, they used this complaint as the basis for their ads. Social listening helps you identify people asking questions about your industry. It’s not often a great idea to leap into someone’s online conversation with a hard sell. But you might find great leads that you can nurture into relationships for social selling. Reach out, make a connection, and share helpful information. This will help establish your brand as the best resource when it comes time to make a purchase decision. Monitoring social conversation about your industry will give you a sense of who the important influencers are. These are important people to connect with. As the term implies, they can have a huge influence on how their followers and fans feel about you—or your competitors. You will also find people who already love your brand and are saying great things about you on social media. These are natural brand advocates. Reach out to them and look for opportunities to collaborate. Before you dig into the nitty-gritty work of social media listening, you need to decide what you want to listen for. The keywords and topics you monitor will likely evolve over time. Using social listening tools, you will learn what kinds of words people tend to use when they talk about your business and your industry. You’ll also start to get a sense of what kinds of insights are most useful for you. You should also monitor common misspellings and abbreviations. 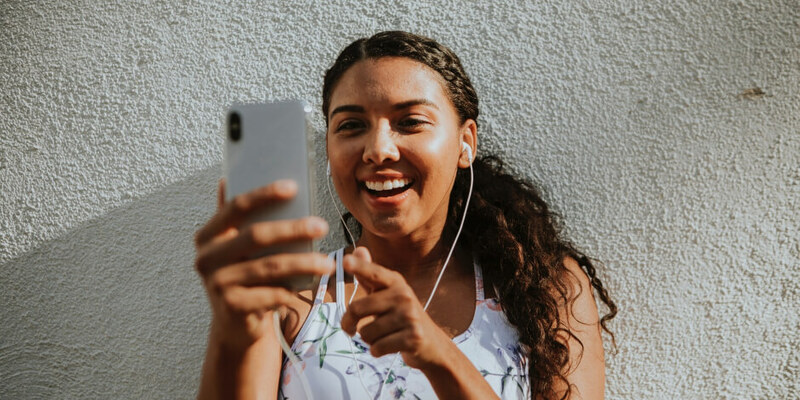 We’ll show you some social listening tools that can help you keep an eye (or ear) on all of this at the end of this post. Here are some important points to help you get the most from your social listening efforts. Don’t limit yourself to one or two social networks. Cast a wide net with your social listening program. You might find that the conversation about your brand or your industry is very different on LinkedIn or industry blogs than it is on Facebook. Maybe people talk about you a lot on Twitter, but not at all on Instagram. You need to know where people are talking about you and your industry, and how those conversations vary across networks. This will allow you to create a clear strategy to join the conversation through both organic engagement and paid advertising. You never want to copy someone else’s strategy. But you can gain plenty of insight about what works and what doesn’t by listening closely to what people think about your competitors. It’s a lot less painful to learn a hard lesson by watching your competitors make a mistake than by making it yourself. Learn what you can from your competition’s wins, but keep an even closer eye on their missteps. Your social listening efforts will provide a wide range of information that will be useful to share throughout your company. Maybe it’s a customer post that needs a response right away. Maybe it’s a great idea for a blog post. Or maybe it’s an idea for a new product or new feature for an existing product. The customer service, content marketing, and product development teams could all benefit from what you learn. Seek input from those teams, too. They might have specific questions you could answer by tweaking your social listening setup. As you start to collect social information, you’ll develop a sense of the normal conversation and sentiment about your brand. Then, you can watch for changes. Major changes in engagement or sentiment can mean that the overall perception of your brand has changed. You need to understand why so you can adapt your strategy appropriately. That may mean riding a wave of positivity, or correcting a misstep to get back on course. Remember: If you don’t take action, you’re only engaged in social media monitoring, not social listening. Social listening is not just about tracking metrics. It’s about gaining real insights into what your customers and potential customers want from you, and how you can better address those needs. Make sure to analyze patterns and trends over time, rather than just individual comments. These overall insights can have the most powerful effects in guiding your future strategy. With so many sources to monitor, you need tools to help you with social listening. Here are some of our favorites. You can use Hootsuite to set up social media streams that monitor conversations and keywords. When you see an opportunity to reach out to potential customers, influencers, or advocates, you can respond directly or assign the response to someone else on your team. Take things a step further with graphical reports that allow you to monitor more than 100 million data sources, including from news sites, blogs, and forums. You can also track sentiment by location, language, and gender. 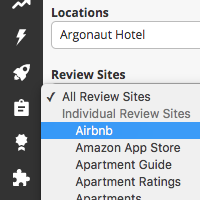 ReviewTrackers allows you to monitor reviews from more than 85 reviews sites, including TripAdvisor and Google Maps, as soon as 15 minutes after they’re posted. Talkwalker offers advanced social listening capabilities covering blogs, forums, videos, news sites, and review sites, as well as social networks. Track conversations on highly specific topics within carefully segmented audiences. Synthesio can tag mentions by language, location, demographics, sentiment, and influence, and the reports include a social reputation score. With Audiense, you can identify any audience, no matter how large or how specific. You can then create reports that tell you what they talk about, what they like, and even how they think and behave. Brandwatch lets you monitor the tone and impact of the conversation across 95 million data sources. You can set up email alerts to let you know when an important conversation is taking place. Track mentions, keywords, and sentiment in multiple languages and find potential influencers across social networks and other online sources. Reddit sees 114.5 million unique views a month, and is a prime site for in-depth discussions. Conversations here are a key source of social intelligence, and this app will help you find and track them. NetBase uses Natural Language Processing (NLP) so you can find the most relevant conversations across the social web. Hootsuite makes it easy to monitor keywords and conversations on social media, so you can focus on taking action on the insights available. Try it free today.